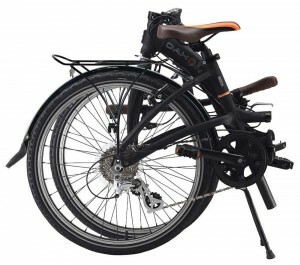 The Dahon Briza is a unique folding bike. It combines a full size bike with a low step through design. 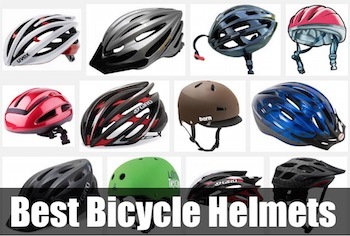 It is comfortable, easy to ride and provides a more upright position for the rider. 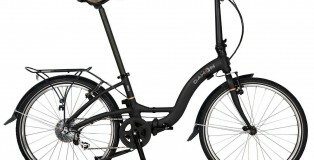 The Dahon Briza D8 is a beautiful folding bike with great design. Obviously, the bike has been designed in an impressive way. 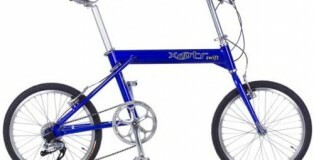 Would you like to have a folding bike that looks like a famous Amsterdam bike? 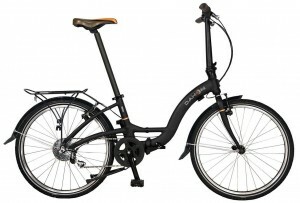 If so, you obviously need to pay a close attention to Dahon Briza D8 model. The Dahon Briza D8 is a versatile folding bike that’s easy to fold (unfold). Another important thing that you need to be aware of is that the bike is compact and small in size when it’s folded. The bike’s folded size: 37 cm x 90 cm x 82 cm. It’s clear that the bike doesn’t occupy too much space when it’s folded. All of this means that you’ll not find it hard to travel with your folding bike. It’s pretty easy to store a bike as well. It’s also important to note that Dahon Briza D8 is a lightweight folding bike. The bike weighs only 12 kilograms only. So, it would be easy for you to carry a bike when such a need arises. The bike itself is very comfortable and has everything that’s needed for an enjoyable ride. The Dahon Briza D8 folding bike makes it possible for riders to select the right position fast and easy. When riding the bike your body will be supported naturally. The bike comes with 8 speeds. So, it would be easy for you to find the necessary speed for a ride. You should know that Dahon Briza D8 is a universal bike. There is no question that Dahon Briza D8 is one of the best folding bikes for riding around the city. On the other hand, Dahon Briza D8 is the perfect bike to ride in rural areas. You even will be able to travel with such a folding bike around the country. In this review, we would like to give you more details about such a wonderful folding bike as Dahon Briza D8. Actually, we are going to tell you everything you need to know about the bike prior to making a purchase. First of all, we’ll provide you with bike’s specifications. Then, we’ll share images of the bike with you. After that, we’ll give you some insights into the Dahon Briza D8 bike’s performance. 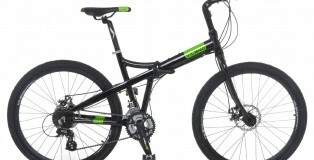 Plus, we’ll outline pros and cons of the bike. As a result, we’ll help you come to a conclusion. So, you’ll be able to decide whether the bike is worth buying or not. 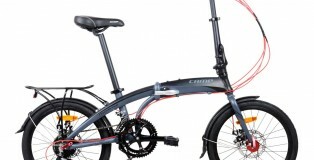 Read on to learn more about Dahon Briza D8 folding bike. $699 at Amazon + Free Shipping! Dahon is a brand we trust. They are the leaders in innovation and manufacturing of folding bikes across the globe. 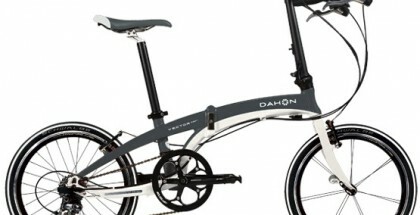 Dahon has created many styles and designs available at varying price points. So what is so special about the Briza D8? The Briza is a combination of a full sized bike with 24″ wheels, 8 speeds, a low step through frame, and obviously it folds. For smaller riders the step through frame is very appealing just due to the ease of mounting the bike. With full size wheels a straight frame would be taller on this bike compared to folders with smaller wheels. The advantage of larger wheels is traveling a greater distance with each push of the pedal and the feel is just like riding a normal bike. This Dahon is great for leisure rides. It could do the job of a commuter if needed, but it is full size and not as light as some commuters. If you can ride from home to work without having to board public transportation then this could be the right bike. 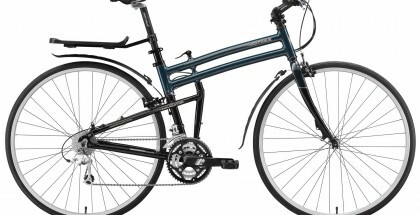 I recommend the Briza for traveling around town or on bike paths. There is a rack included perfect for running errands. It moves well and with 8 speeds it can handle some decent hills. Just fold it up and store it when you’re done! One thing I recommend is getting a more comfortable seat. Something with a little more cushion for a more enjoyable ride! 27 lbs – Not Too Heavy! Thank you so much for reading this review. 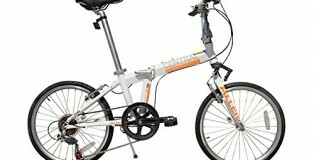 We’ve just provided you with the most important information about Dahon Briza D8 folding bike. Now, it’s time for you to make a decision to buy or not to buy. 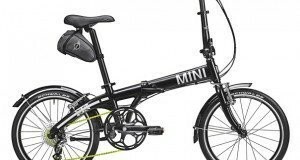 The reality is we’ve analyzed Dahon Briza D8 folding bike’s customer reviews carefully prior to writing this review and here is what we have to say – 100% of consumers are happy with the bike. All cyclists are happy with Dahon Briza D8. 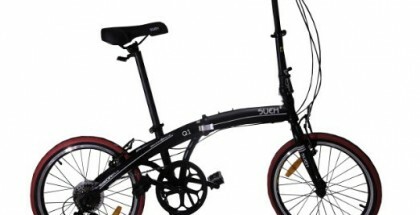 They say that Dahon Briza D8 is a great folding bike and recommend you to others. So, the bike is worth buying! Great full-size commuter and leisure folding bike!